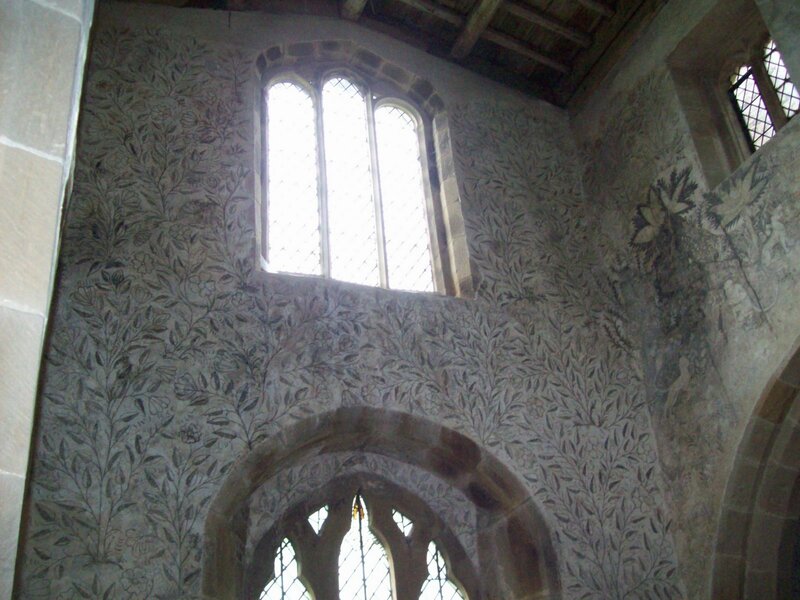 The walls of The Chapel at Haddon Hall are covered with Frescos. Time has stripped them of their clarity and color, but what remains is still impressive. The tour guide said that these paintings not only adorned the church, but also provided an ‘illustration’ for those within the parish who couldn’t read. 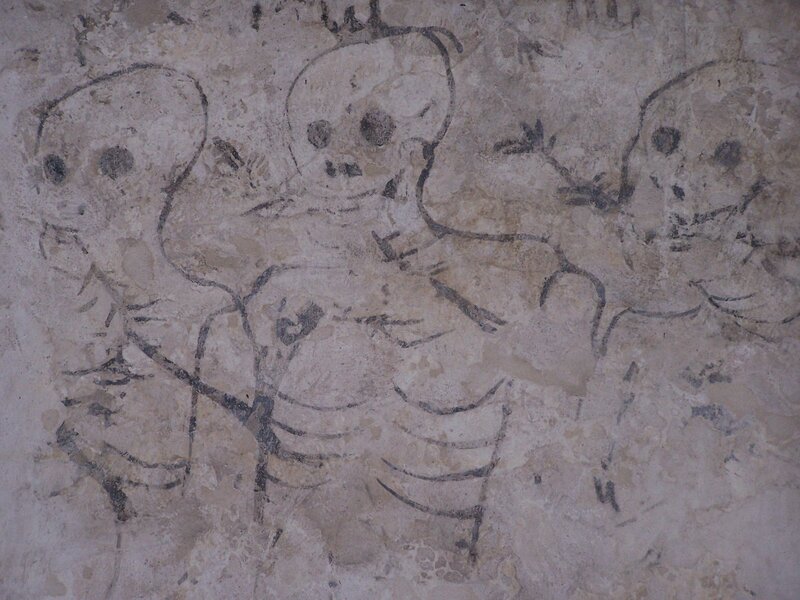 The fresco of the three skeletons (below) was in the chapel to remind the people of their morality.